Short black hairstyles have an edge to them which no other look has. Ladies often adopt black dyes if their hair isn’t black naturally as black hair showcases not only confidence but also keeps you updated with the modernistic trends. Short hairstyles are finally in season to relieve you from the heat along with appearing stylish all the while. Top celebrities fashion these engrossing hairdos at mega events showcasing their hip and charismatic short black hairstyles. Follow the trends of the queen of music Rihanna with all her aspects of a gorgeous look all bundled in one including the central and most alluring-different versions of black hairstyle. Play with your short hair in bewitching ways that add spice to your lifestyle and appearance. Adopt glamour in your life with the cuteness yet sophistication of a spiked pixie hairstyle among short black hairstyles. Top models and divas give this look a go because of the daintiness in the way it is fashioned. The pixie hairstyle speaks for itself with a beautiful cut that gives volume at the top of the crown while the hair is kept trimmed at the ears and nape of the neck. The look of a rounded bob in the selection among short black hairstyles will give your beauty competitors a run for their money because of its soft textures and alluring gracefulness. 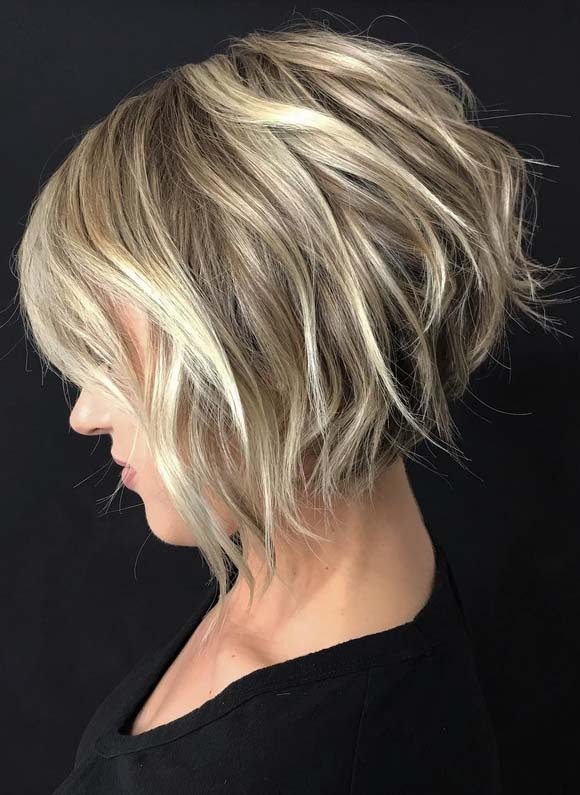 The rounded and angled bob features hair till chin length that are blow dried inwards while the wispy fringes at the forehead make an attractive style statement while complementing the facial features as a whole. The versions of short black hairstyles which showcase the seductiveness of side swept short bangs at the front are among the toppers in the chart! This desirable hairdo is all the more appealing when coupled with black shiny hair, either simple in its grace or fashioned with low lights or streaks at the ends of the hair. This look works sensationally for all your formal and informal occasions, showing the best of your profile under the spotlight. A top celebrity favorite among the endless and electrifying choices of short black hairstyles is the middle parted long layered bob which seems to be working its way to the glam of this season. This hairstyle allows you to flaunt a natural look that’s bouncy, stylish and easy to maintain. The textures of this hairstyle are soft along with giving the illusion of hair growing out, which itself is an amiable look worth praising. The beauty of this hairstyle is that it can be styled in tons of ways including a half updo or by simply pinning one part of layers to the side. Ladies, keep your admirers on their toes with radical changes in your day to day hairstyles. The above mentioned short black hairstyles have an aura of pleasant temptations about them which can never go unnoticed. Show off your fashionable side by flaunting these gorgeous looks with spicy tweaks in them.